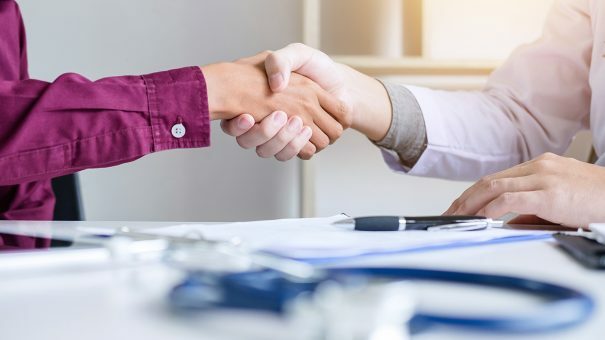 Collaboration between pharma and patient organisations can yield fantastic results – but conflict of interest concerns can stop such potential-filled partnerships getting off the ground. We speak to James Butcher, senior campaign manager at healthcare communications agency Spink, about the strength of a united voice and the importance of transparency. We are all in the business of improving outcomes, so it makes sense for patients, advocates and pharmaceutical companies to work together. “The healthcare space is so diverse, and the idea that different actors in the healthcare landscape should work in different silos is just ineffective,” said James. He added that joint working was a two-way street that benefitted both sides – and, ultimately, the patients. “If the people who represent patients are not talking to the producers of medicines or feeding into that development process, that won’t lead to improved outcomes, it won’t lead to more effective medications and it won’t lead to happy patients. The potential strength of a united voice, James went on, can get public health issues recognised at policy level. Last year, Spink worked with male cancer charity Orchid and pharmaceutical company Bayer on a prostate cancer project that has proved to be something of a shining example. Bayer’s support allowed Orchid to commission a report and develop risk awareness graphics that were shared with MPs during 2018’s Prostate Cancer Awareness Week. One, former oncology nurse and MP for Lewes, Maria Caulfield, went as far as to establish the All- Party Parliamentary Group (APPG) on Male Cancer. At the launch of the APPG, in February, she said she had been shocked to see that Parliament didn’t already have a committee looking at male-specific cancers and that she was “pleased to work with Orchid” to set one up. The Primary Care Urology Society, Prostate Cancer UK, and Tackle Prostate Cancer have all been involved to date. Groups including the British Association of Urological Nurses and the British association of Urological Surgeons have expressed interest in working with the APPG in the future. James, who led the campaign, explained the impact of the campaign: “We’ve had really good engagement from across the cancer stakeholder universe. The Face up to Prostate Cancer campaign has increased the footprint of Orchid, put wheels in motion that could reduce mortality from the disease and boosted Bayer’s reputation. But despite the benefits of collaboration being abundantly clear, it is not always the preferred route of travel. One stumbling block is a limited awareness among the wider public of how charity-pharma partnerships work. “Within the charity sector, I think there is a real sense of fear that organisations may be seen to be unduly influenced by pharmaceutical companies,” said James. “The reality of it is that when you work within those partnerships, the pharmaceutical companies are well aware of their responsibilities and the charities are very protective of their own reputations. Honesty, transparency and clear boundaries are the answer, he said. “I think charities will try not to advertise that they work with industry, but that risks causing people to think they’re trying to hide undue influence,” said James. He added that charities had a hard time raising money and project funding from pharmaceutical companies allowed them to do things they might not otherwise be able to. It will take time to overcome these barriers, but not only is it possible, it’s also crucial. James said: “For pharmaceutical companies, charities are a critical partner in the development of medicines that have a direct, positive impact on patient outcomes. At the same time, they are building the relationships they need to ensure the views of patients are included in all their future work, he added. Overall, by building trust and demonstrating accountability, patient organisations and pharma will be able reap to the benefits of each other’s experience.